Urchin and Other Outdated Analytics Solutions May Hurt Your Business! Four years ago your Urchin became an orphan when support was cut off by Google. Since then, the software has gone without support and without updates. Yet, as the W3Tech report confirms, a certain number of websites still use it. We all know it takes time to implement change, but it’s important to remember that using outdated software is fraught with potential complications. Read on to learn what risks you may be running when using unsupported analytics software. We also share some some practical ideas you should consider before making the switch to another tool. Microsoft has done a great job of explaining the risks in this outstanding infographic The Risky Business of Outdated Technology. Security vulnerabilities because of hackers looking for vulnerable software – this is especially important in the case of analytics solutions dealing with sensitive data! Compliance risks from penalties imposed on companies using outdated software – this is especially important in the case of analytics solutions dealing with sensitive data! Any other reasons to look for Urchin alternative? Web analytics, like every other aspect of technology and the internet, is making tremendous progress. Many of the tools we have in 2016 for tracking, processing, and reporting on website and application traffic were just dreams in 2012. Smart businesses are always looking for an edge on the competition. And smart businesses know that they need to take advantage of the latest developments in analytics. By running an unsupported analytics tool like Urchin you are definitely missing out on opportunities and insights that your competitors have access to. Being behind means losing money. That alone is reason enough to keep your web analytics solution up to date. However, even with awareness of the risks involved, many companies fail to adequately plan for these types of transitions. This is a long and stressful process fraught with pitfalls. Let’s discuss some of the main concerns now. The loss of analytics data is a constant worry. However, this is not a piece of cake, and it’s practically impossible with just your in-house technical team. There are customers who come to us with these kinds of needs, and they are frequently the most crucial when deciding whether to select a new vendor. In cases like these, we have to assign dedicated engineers to handle the process, and it is a time-consuming effort. It can take a long time to make a decision. Considering something as important for your business as a new web and mobile analytics vendor can be time-consuming. Believe it or not, for the most sensitive industries it often takes about a year to achieve proof of concept. On the other hand, when an organization has clearly-defined requirements, the process moves fast and smoothly. In one of our recent blog posts we discussed planning processes and some of the crucial things to consider before taking a final decision. And once things do get moving, they move quickly. 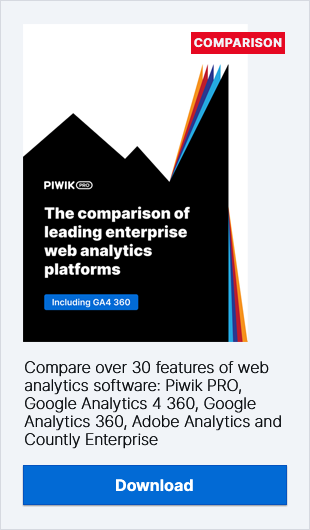 MultiView decided it needed to shift from a SaaS solution, which had previously handled 140 GB of analytics data, to Piwik PRO On-Premises. We were able to prepare their infrastructure and get it up and running in the space of 15 working days. Perceived total ownership costs of a new solution can have a chilling effect on efforts to bring about change. Not all vendors offer a flexible pricing model that can be adapted to the needs of your organization. Luckily, here at Piwik PRO, we offer different plans both in the On-premises and Cloud versions. Another thing to think about is whether your existing website will be exposed to risk by installing a new analytics solution. You may worry that a new tool may hurt the performance of your website, for instance by causing pages to load slower than before. If this is the case, then non-disruptive tools, such as Piwik PRO are definitely the answer. There are also companies with a non-negotiable requirement that their page code cannot be modified at all. If this is you, check out Piwik PRO Web Log Analytics. Once you are able to process server log data in the majority of standard formats, you will also be able to analyse files collected and stored prior to its installation. There are many risks associated with using analytics platform that is no longer supported by its vendor. Of course, change takes time and switching platforms is anything but a piece of cake. But it is key if you want to ensure accurate data and focus your resources on growth rather than fixing your outdated tool.